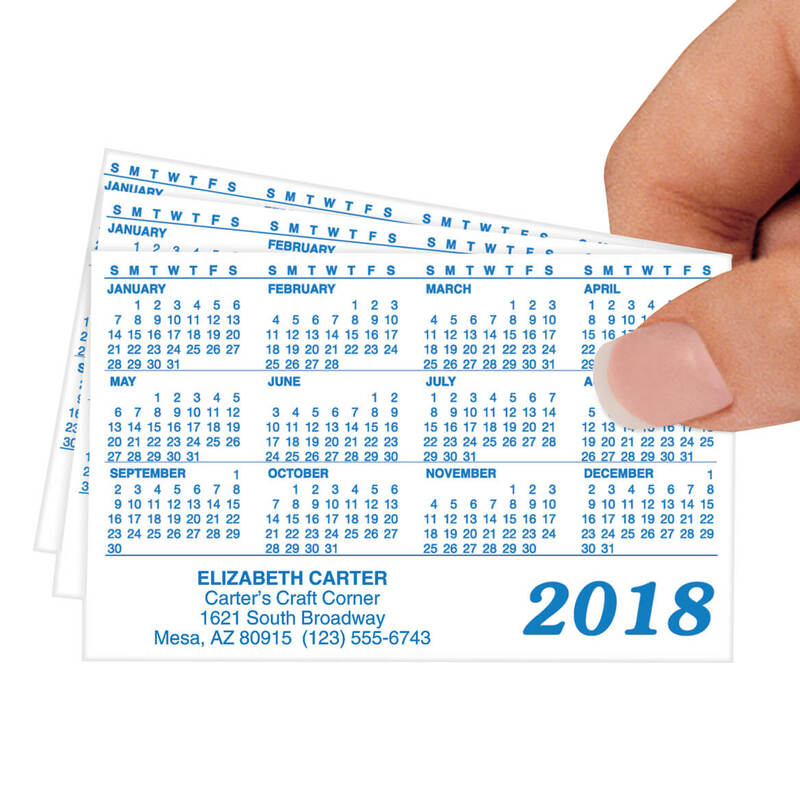 Personalized plastic calendar ensures you’re remembered all year long! This glossy wallet calendar is the size of a credit card for tucking into a wallet as an easy reference. This purse calendar is a welcome enclosure in cards and letters to friends. Set of 50; each calendar is 3 3/8″ x 2 1/8″. Specify up to 28 letters and spaces for “all caps” top line, up to 32 for lines 2-4. Ideal new year business card…great promotional give aways!